Love this stuff, It’s great on the stomach with no sickly aftertaste. MF jellies are a gamechanger, they knock PBs out the park!! First Swimrun event this weekend and I was a bit apprehensive about nutrition as I’m coeliac and can’t make use of Jaffa Cakes etc at feed stations. Stuck half a dozen jellies in my back pocket and hoped for best. What a revelation! I’ve been using MF Raw Energy drink in previous races with no probs, but I’m now also a convert to the jellies. Got through around 1 per hour. No gut issues and crucially, no need to swill the jellies down with water. Felt great and full of energy throughout the race. Would highly recommend. I tried the jellies for the first time during a race this weekend and they’re so much better than the usual gels I had been using. A unsual texture at first but better than the sticky, claggy gels. Easy to get down and I didn’t need to wash a dreadful taste out of my mouth after taking it. The cola and caffeine gave me a good kick but my favourite is the lemon and lime, a great refreshing flavour. Really nice refreshing taste, not sickly or at all and no side effects on the stomach. My favourite flavour is lemon and lime. Great product, tried during a recent race, definitely picked me up and no funny tummy at all! Felt great using them. I’m converted to all the Mf products! Amazing product! Brings back my energy and focus instantly without the nastiness of a gel. Mountain Fuel have nailed it with the jellies. They do exactly what you want, no frills. The texture initially surprised me – I was expecting a gel (despite all the marketing!) but they are very much a soft jelly consistency, which feels less cloying in your mouth as well as easier to get down on the go. Taste is simple and refreshing and with no bitter chemical aftertaste. They hit quickly, and provide a sustained energy release with no peaks and troughs. They work great in combo with the raw energy fuel, but just as well solo, and are isotonic (meaning no need for water to digest properly) with a full complement of electrolytes. Most importantly, they sit well on the stomach – I have used these during ultras (Scafell Sky Race) at steady go-all-day pace, and during half ironman events racing much closer to threshold, as well as during training at all intensities in between and above with no issues and only positive things to say. They are great. 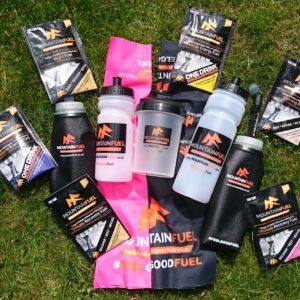 Not a lover of Gels generally however the new Mountain Fuel jelly , taste great and are easily consumed and quickly absorbed as with all the Mountain Fuel Range. Nothing else in my pack wether racing or training ?? The MF jellies are a welcome addition to my cycling supplies. 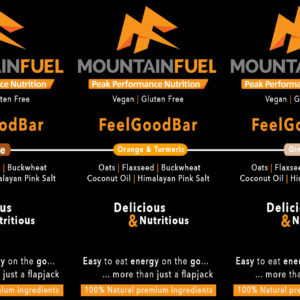 As a long term fan of Mountain Fuel products through extensive use on 8000m peaks in the Himalayas I had no doubt that this new product would be worth the wait. Used this year on the Etape du Tour and the UCI Gran Fondo in Varese. Easy to get down without the sticky after taste of similar products. 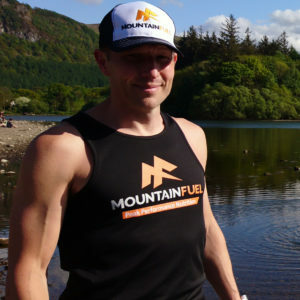 I first used the Mountain Fuel sports jellies in the run up to the Hardmoors 60 this year. After having completed the Hardmoors 110 using the Morning Fuel as shakes and in little pancakes as fuel, I was looking for something to get me through the latter stages of the race when the fatigue kicked in. The Cola flavoured ones with the additional caffeine did the trick. Easy to swallow (gels have made me throw up in the past) and gentle on the stomach, no sickly taste either. The kick from the caffeine definitely worked and my energy levels definitely remained consistent rather than dropping off towards the end of the race. A big thumbs up from me! Been using MF now for a few years the addition of these jellies really compliments the the rest of the MF products. Used the jellies along with the Extreme Raw at the European Triathlon Championships in Estonia and managed a negative split on my 10k run. They are easy taking and no upset stomach love the flavours. First time I used the Jellies I won a race! They’re so different to gels – you don’t feel thirsty and they’re much more refreshing with non of the post race stomach churning. I’ve also given them to friends on training runs who have also remarked on how good they are. Simply the best way to get the energy I need to be able to race and train. Taste amazing as well! 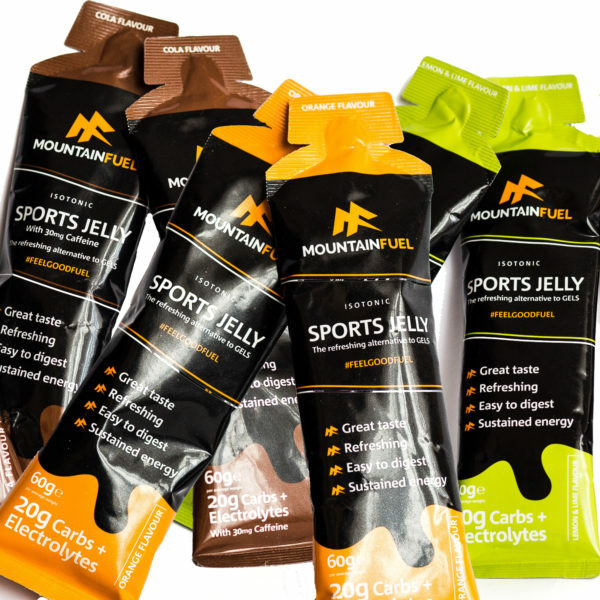 Mountain Fuel Jellies are very refreshing and palatable compared to other gels I have used. No tummy issues and they are easy to get down when feeling tired and nauseous. They are on my ‘Mandatory kit list’? I love these jellies! I have been struggling with food during long events, I started using these after a poor summer of struggling to keep any food down and they’ve genuinely changed running for me! Used them last weekend I’m Glencoe and had a great day! Lime is my favourite but love the other flavours too! I loved the lime aswell as the Cola flavour (not tried the orange yet). The sustained energy was brilliant, instead of a different brand which spikes my sugar levels and then drops off. 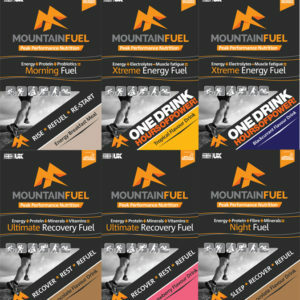 The Mountain Fuel one’s seemed to just keep me going for longer. I use them in off road triathlons and at cyclo cross races. This should give me the edge next season! I used Mf jellies on the Serpent Trail 50kms and all my training runs. They are fantastic and taste amazing. Cola is definitely my favourite and will be in my training and racepack forever more. The Sports Jellies get a big thumbs up from me! I used them in combination with the equally excellent Raw Energy for this year’s Scafell Sky Race and was so impressed, they were my go to choice of fuel for the Lakeland 50 a fortnight later. They taste great, very palatable and very easy to digest. Highly recommended!